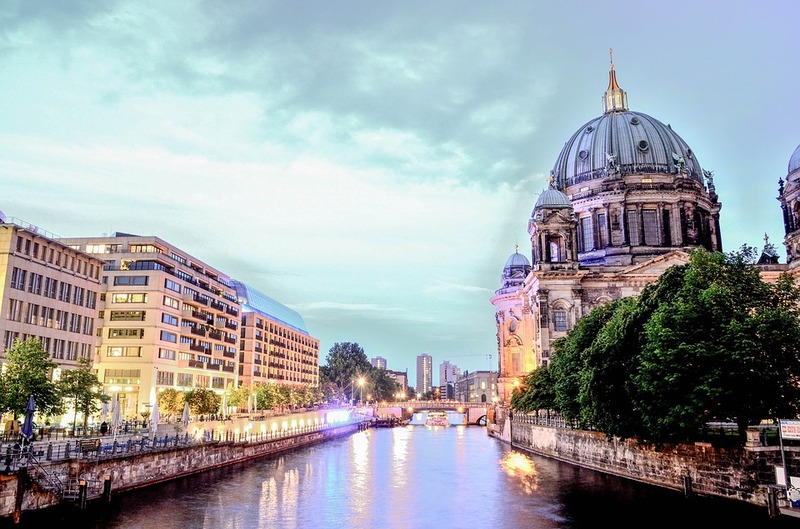 It isn’t hard to imagine what you might find on Berlin’s Museum Island, and indeed, the complex of buildings sitting in the middle of the Spree river is home to a five-strong ensemble of the city’s most renowned museums. Together the museums, built between 1824 and 1930, trace a panorama stretching from the Ancient Egyptians and the civilizations of the ancient Near East to Greek and Roman Antiquity, and from the Christian and Islamic art of the Middle Ages to European art of the 19th century. The island in the central Mitte district of Berlin was originally residential, but in 1830 the Altes Museum was built there to house the royal art collections in a place where the general public could access them In 1841, King Frederick William IV of Prussia stated in a royal decree that the remaining northern part of the island was to be dedicated to displaying art and science to visitors, which began the gradual development into the cultural hub Museum Island is today. The subsequent addition of five more museums over the following 100 years demonstrates how museum design evolved over the 20th century. Each museum was planned in harmony with the type of art and artifacts it would house, while all maintaining architectural coherence with each other. 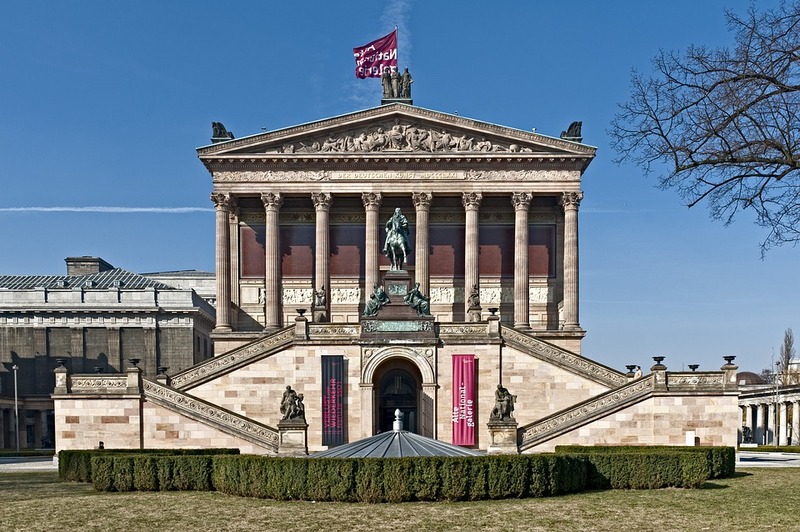 Opened on August 3, 1830, the Altes Museum was the first museum to appear on the island. 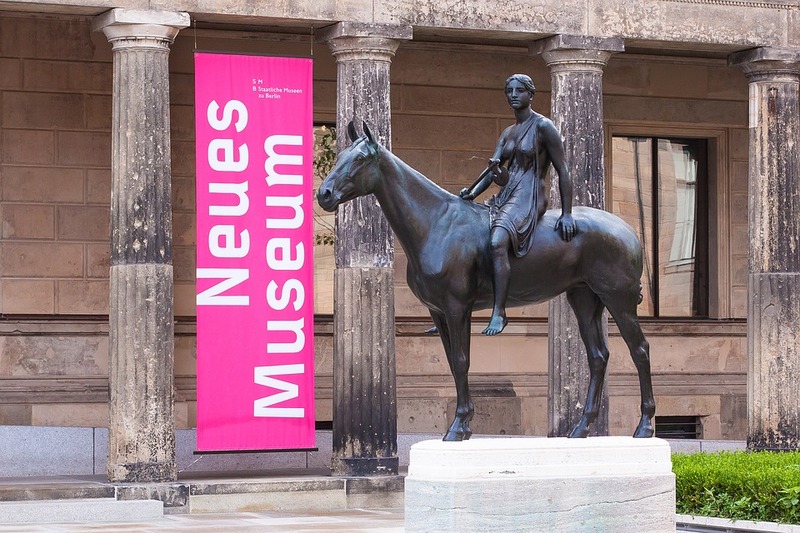 It was originally called the Königliches Museum (Royal Museum) as it housed the royal art collections but was renamed Altes Museum (Old Museum) in 1945. 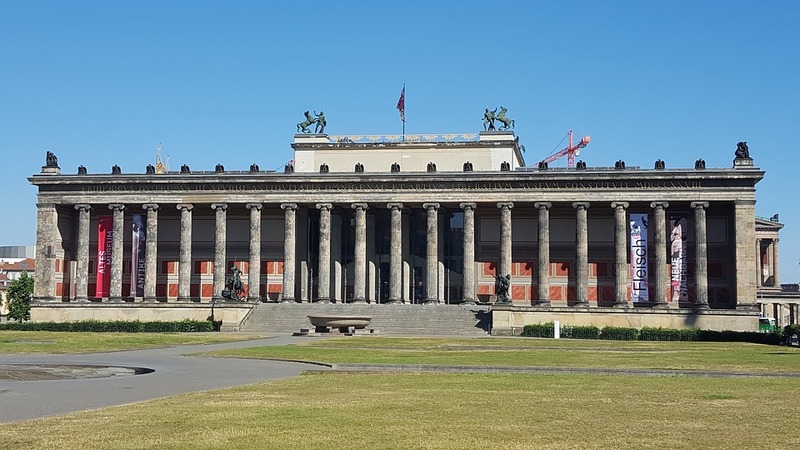 Today it displays classical sculpture from ancient Greece and Rome, which inspired its neoclassical design that includes a huge classic portico, by Karl Friedrich Schinkel, Prussia’s leading 19th-century architect. The Neues Museum began construction in 1841, intended to hold the excess artifacts that the Altes Museum didn't have space for. It was designed by the architect Friedrich August Stüler, a student of Schinkel, and was a huge milestone in the technological development of large-scale construction. New industrial techniques were applied for the first time, such as the use of a steam engine, made necessary because of the poor quality of the soil on the island. 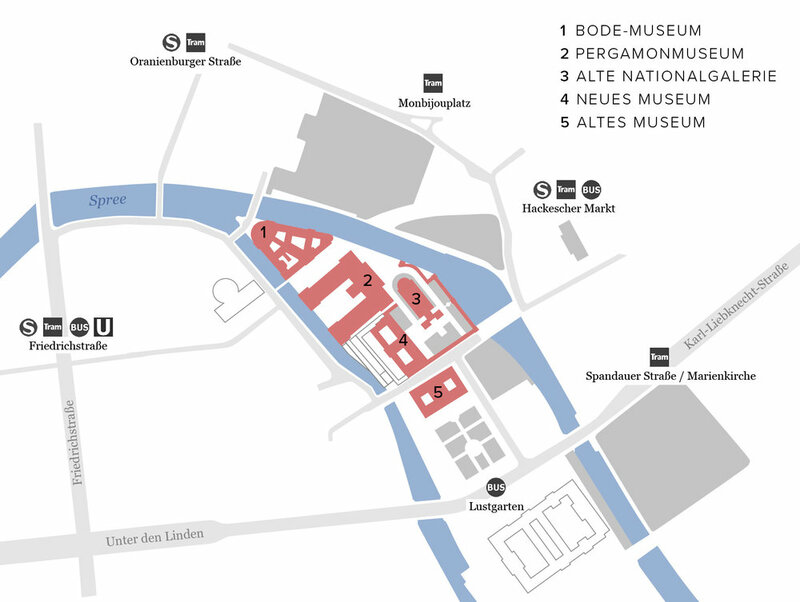 The museum was severely damaged in World War II but it was rebuilt and reopened in 2009, overseen by the English architect David Chipperfield. It houses objects of the Museum für Vor- und Frühgeschichte (Museum of Prehistory and Early History), the Antikensammlung (Collection of Classical Antiquities) and the Ägyptisches Museum und Papyrussammlung (Egyptian Museum and Papyrus Collection), including the famed bust of Queen Nefertiti. The collection of the Alte Nationalgalerie, or Old National Gallery began with a donation of 262 19th-century German and European paintings by banker Joachim H. W. Wagener. Stüler began designing a building to house it but died before its completion so the remaining construction was overseen by Heinrich Strack. Shaped like an antique temple, it was opened in 1876 but along with the Neues Museum, also received extensive damage during the war. Now fully renovated, its collection has expanded to incorporate Impressionist, Expressionist, and Romantic artworks. It includes works from Monet, Manet, Renoir, and Caspar David Friedrich. Situated on the northern tip of the island, the Bode Museum opened in 1904, when it was called the Kaiser-Friedrich-Museum after Emperor Frederick III. The baroque building was designed by court architect Ernst von Ihne, intended as a museum for European medieval and Renaissance art. It was later renamed for its first director, Wilhelm von Bode in 1956 who revolutionized the way the collection was displayed by arranging sculptured and paintings. mixed together - a unique method at the time. It exhibits a sculpture collection that ranges from the middle ages to the 18th century, late Antique and Byzantine art, coins, and medals. 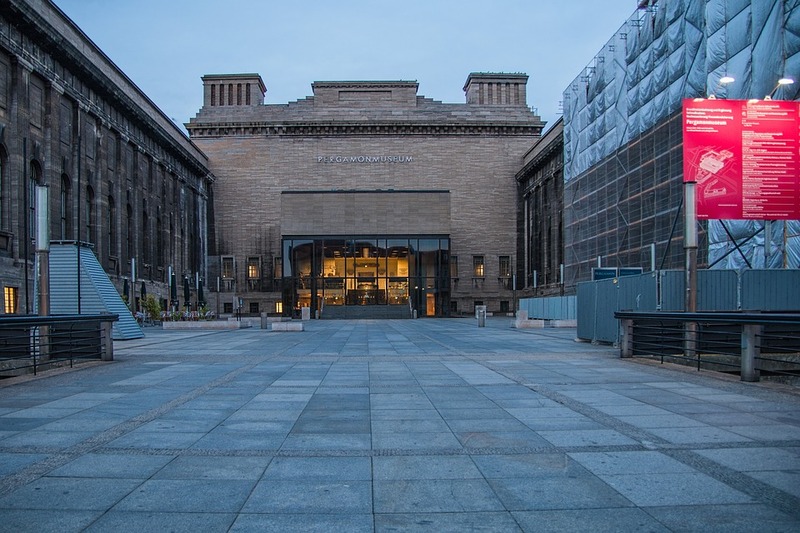 Built in 1930, the Pergamon Museum is where you can explore the reconstructions of ancient monumental buildings excavated from all around the world, such as the Ishtar Gate of Babylon and the Market Gate of Miletus. 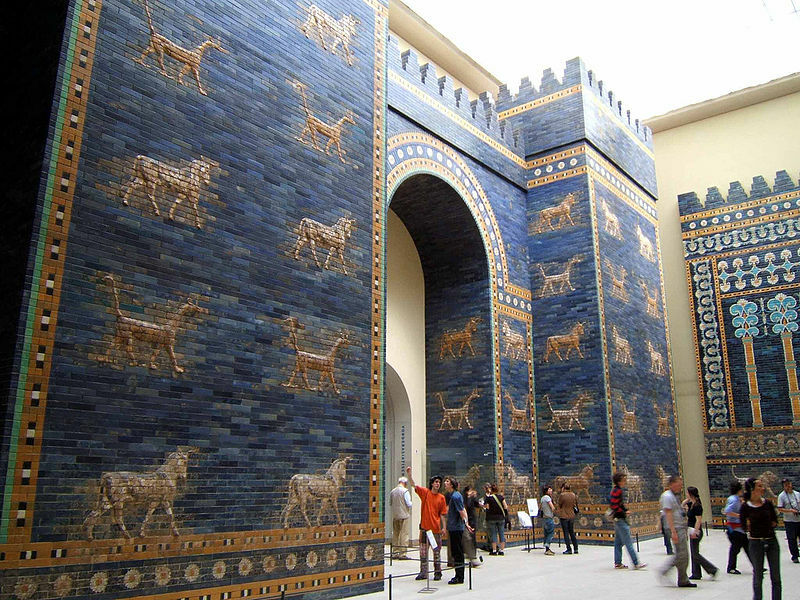 The reconstruction of the Ishtar Gate in the Pergamon Museum in Berlin. The Pergamon Museum is the most well-known of the museums and one of the most-visited in Germany. It was designed by Alfred Messel and Ludwig Hoffmann and contains three different collections: The Museum für Islamische Kunst (Museum of Islamic Art), the Antikensammlung (Collection of Classical Antiquities) and the Vorderasiatisches Museum (Museum of Ancient Near East). Due to renovation works the hall that contains the Pergamon Altar (where the museum got its name) will be closed at least until 2023, but from November 2018 visitors can attend the temporary exhibition building "Pergamonmuseum. Das Panorama" with masterpieces from the ancient metropolis Pergamon and a 360° panorama by Yadegar Asisi instead.